We work with art. , Beatrice (sculpture, painting, ceramics), Nicolò (photos, video, author). We traveled a lot and since our daughter was born we returned to Sicily. Now we feel the need that the world can come to us. Use of wild plants, techniques of organic farming, Technical eco-building renovation, ceramic RAKU, sculpture and painting techniques, a good Italian cooking and the hard work of video makers. in the main house, in a comfortable camper. 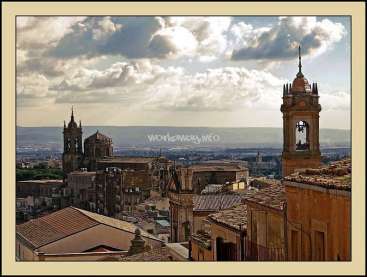 Ancient city of Caltagirone (manufacture of ceramics). Reserves of natural cork oaks oldest of the Mediterranean (Santo Pietro). We have business contacts and we go every week to the beautiful city of Noto (SR), near Vendicari, Marzamemi, Siracusa. Nous avons vraiment passé de bons moments avec Niki Bea et Zael, comme à la maison. Un peu de peinture, un peu de taille d'oliviers, mais toujours tranquillement. Bonne chance pour l'expositition, bon aménagement à Noto et bisous au futur petit Zen :D.
We had an enriching experience with Niki, Bea and Zael! 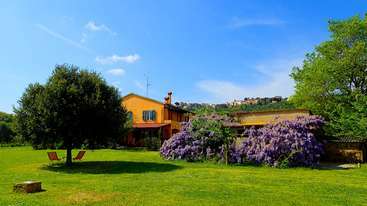 We were very happy to stay with them, in their land close to Caltagirone. We lived in a small house close to their house and shared meals together (great introduction to the Italian cuisine and culture). We miss them already and our kids ask about Zael! Thank you for the experience and the… read more hospitality! We would love to return and help them with their project again and stay longer next time! Good luck to this lovely and creative family!! Niki, Bea and Zael are the true spirit of workaway. And then some more. Their kindness knows no limits and they truly made us feel like part of their wonderful family. We were welcomed to their home on very short notice due to an emergency where one of us had an allergic reaction to a cat at another host. Niki and Bea literally saved us! We… read more were given a very comfortable guest house on their property, but could also stay at their home whenever we wanted. Niki does love to cook and he does so often and really well. Bea's biscuits are also delicious ;-) Whatever we needed, whenever we had to go to town - they were always ready to help. Sometimes we just felt overwhelmed by all their care and giving, but that's how they are... simply great people. Our work was varied and depended on the current needs or weather. Trimming olive trees, some gardening, some DIY repairs and cleaning or building up a super duper new computer. 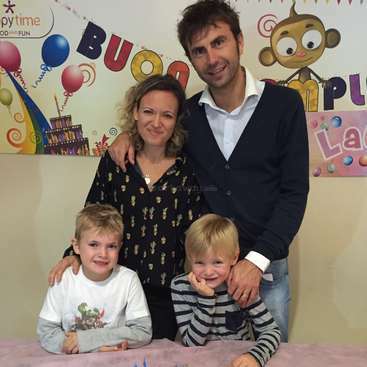 Best of all, we could take care of Zael who at 3 years of age, is full of energy, curiosity and love. We could go on and on sharing the great experience we had with them, but in short, we miss them a lot. We miss Bea's patience, her singing to Zael or her tranquility when cutting out the stencils for her artwork. We miss Niki's projects and strategies, seeing him drive his Panda 4x4 through the orchards smiling like a kid or when he turns up the volume to a good song and sings along. Most of all we miss Zael's sincere hugs and goodnight kisses. Thank you for all guys - you are what makes us all better people! Amazing experience !! What can I say.. Again, thanks to work away, we have meet the best sicilian family ever. We've arrived as stranger and we will leave as part of the family. We where supposed to stay one month and we end up staying almost 6months. Niki and Bea are a sweet, welcoming, generous and a super friendly couple. With they little… read more girl Zael, they host us like kings. Niki was cooking delicious food every day and they were always asking us if we need anything more. We really felt like home. During some weekends, we went to visit some villages or just went to have a nice dinner at the restaurant. As for the work, we were really working hand to hand with them. We've helped renovating a little house, constructed a green house (several time: first in plastic but the wind blow it away, then under a metal structure and finaly in wood), build a big garden, did all the semi, planted the plants, water them, construct a pergola outside, made a new water system for the farm. An other part of the exchange was to help cleaning the house and playing and teaching french to Zael. She is very sweet and needs a lot of attention. We worked around 4/5 hours a day but they were very flexible. We were also trying to renovate our camper van and Niki let us use all his tools and even gave us a lot of wood for free. 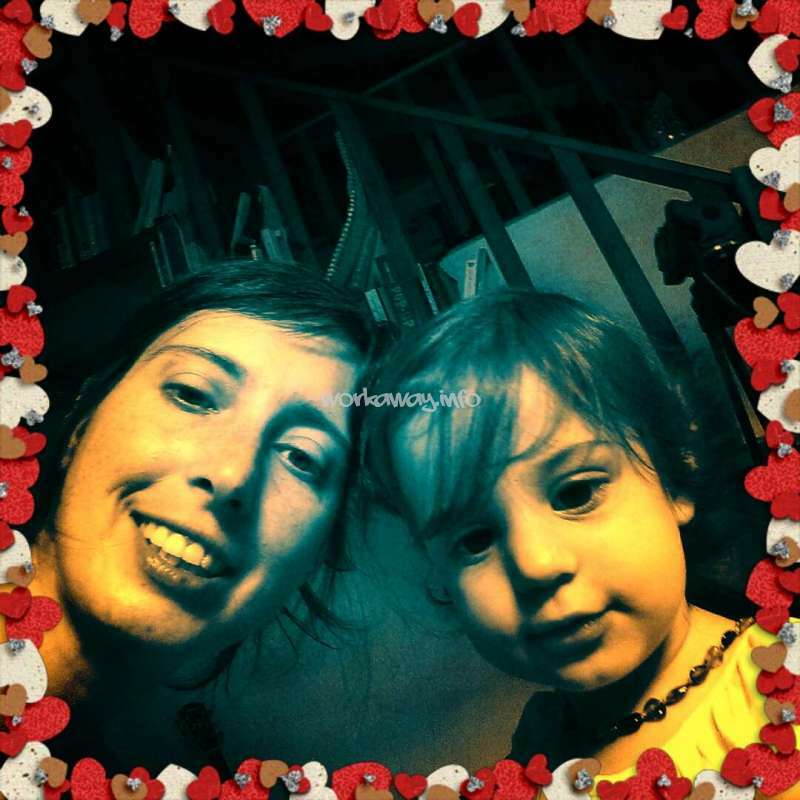 Child care and home help wanted with two girls in Cittanova, Italy. Come and meet friendly people or enjoy local food! Just one place now!!!!!! 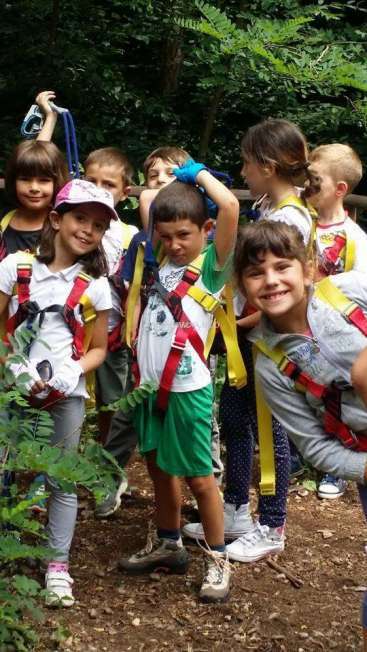 !Summer camp for children in the national park, Galliate, Italy. Come and help with languages. From may to September 2018.